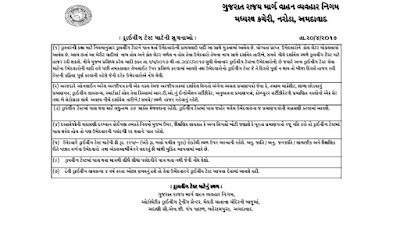 Gujarat State Road Transport Corporation (GSRTC) published List of candidates for Driving Test Schedule 2017. 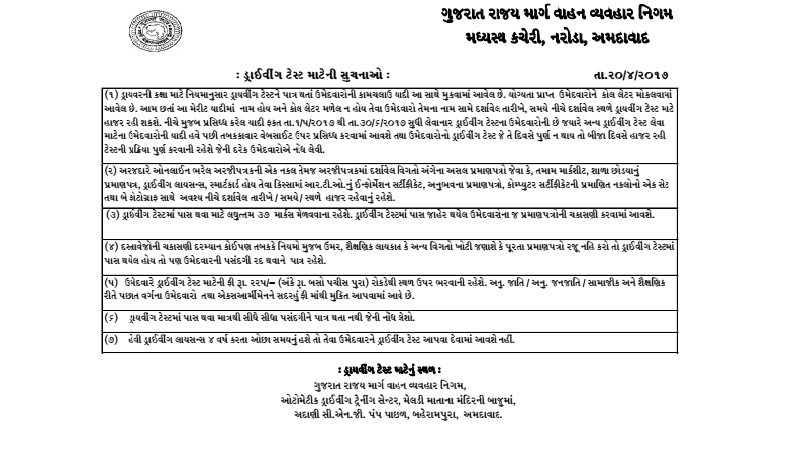 GSRTC Driving test scheduled will be held on 1st May, 2017 to 30th June, 2017. View Instructions for Driving test link are as under. View list of candidates for above said post are as under. you can view Candidate Roll no, candidate name, Driving test date & Driving test time all are as under.